The lack of a confined space program and other safety hazards prompted an October 26th, 2016 inspection by the United States Department of Labor’s Occupational Safety and Health Administration. The agency issued citations to Nebraska-based animal feed company, Nutrition Services, for 25 serious and 1 other-than-serious violations, involving electrical shock and confined-space hazards at a York facility. These citations come, following a July 2016 inspection, which was prompted by information that Nutrition Services was in violation of grain-handling safety standards. OSHA has proposed a penalty of $101,898. 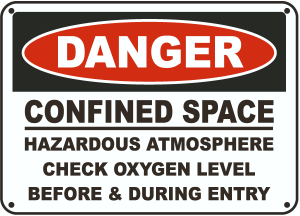 Confined space programs are important to those companies that have workers that routinely work in areas where the lack of oxygen may be present due to various environmental conditions and a restricted access area. A certified Confined space program targets accidents that are often preventable, through a system of education, training, and procedures. These protect workers operating in confined spaces and provide them with active monitoring, so that assistance can come in an expedient fashion, in the case of an emergency. One resource that employers can utilize to ensure that they are compliant with all OSHA confined space safety standards and to prioritize the safety of their workforce is an OSHA-approved on-site training course.